This is how the director of ESPON EGTC, Ilona Raugze, welcomed the participants of the Scientific Conference ESPON organised in London, 14 November 2018. 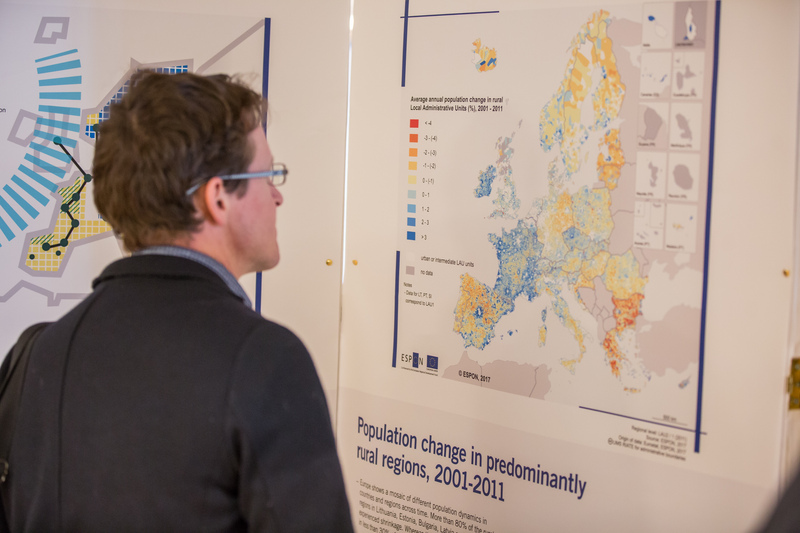 Under the title “Building the next generation of research on territorial development”, ESPON EGTC gathered a number of researchers to discuss the current limitations and future perspectives of territorial development research. 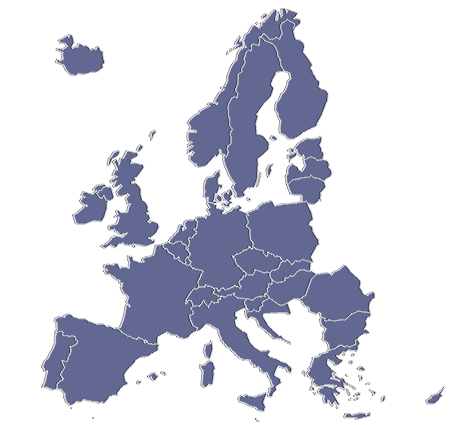 ESPON uses research to inspire policy-making in the field of territorial development and cohesion, providing scientific analyses and advice for territorial and sectoral policies in areas including economy and finance, unemployment, foreign direct investment, circular and low-carbon economy, governance and planning etc. 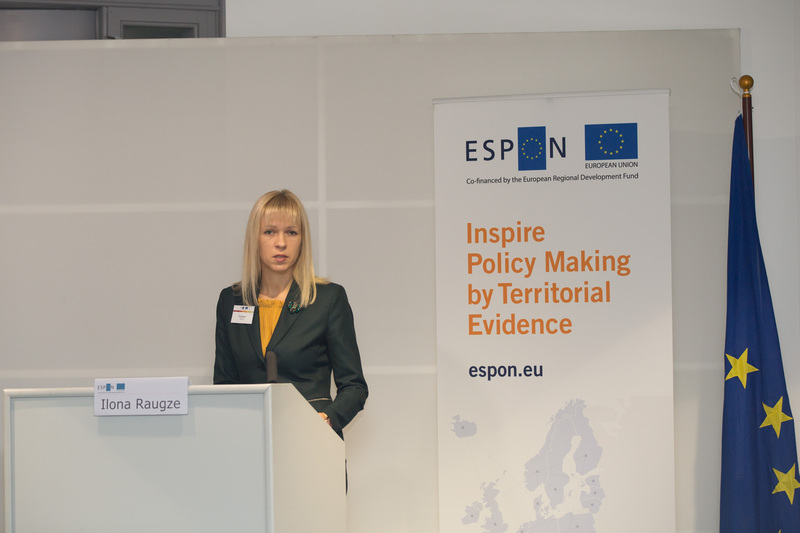 Mrs Raugze stressed the need for a new approach in territorial research that is forward-looking, gathering expertise from different sectors, and place-based, allowing to capture the realities of different places and their increasing interrelations”. 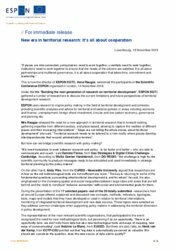 “Maps are not telling the whole stories about territorial development,” she said, “Territorial research needs to be tailored to a new reality where places develop interdependencies that exceed administrative borders”. But how can we bridge scientific research with policymaking? 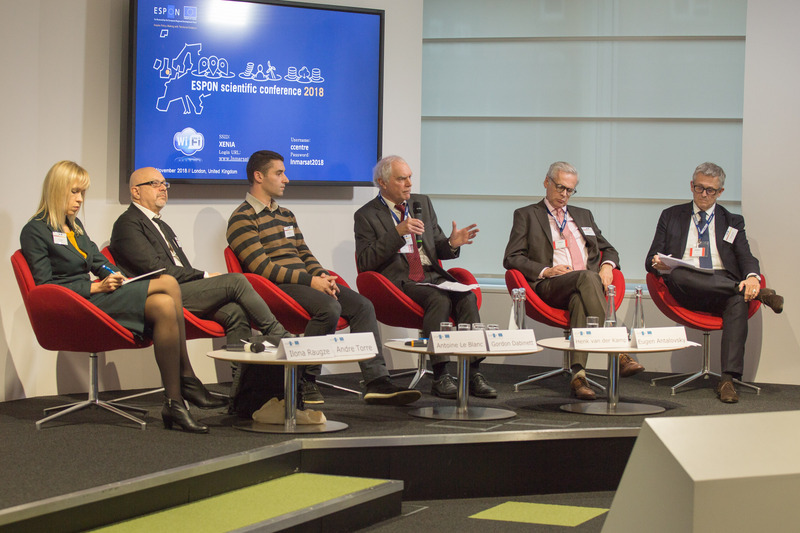 “We need translators to work between research and policy - to be faster and better – who are able to communicate and coach,” said Daniela Florea, from Geo Strategies & Digital Cities Challenge- Cambridge. According to Wallis Goelen Vandebrock, from DG REGIO, “the challenge is high for the scientific community to produce messages ready to be articulated and used immediately in strategic territorial planning by the policymakers”. On the other hand, Andy Pike, from the CURDS - Newcastle University argued that researchers are in fear as the old methodological tools are not sufficient anymore. “The key is returning to some of the fundamental questions surrounding what territorial development is and for whom,” he said. He also emphasised on the increasing spatial and social inequalities between large cities and areas that are left behind and the need to construct “inclusive economies” with social and environmental goals for them. During the presentation of the 17 selected papers -out of the 39 totally submitted- researchers from all around Europe offered, explained and discussed new concepts, methods, indicators, typologies, tools, maps and models that they have developed or used in relation to territorial interrelations, monitoring of integrated territorial development and new data sources. These topics were selected as they address common challenges when supporting policy makers in addressing the territorial dimension in policy development. Andre Torre, from ERSA, set 3 fundamental questions that territorial development research needs to decide how to address on territorial governance, the different types of energy transition and the land use competition. ESPON can play a key role in this new era as Gordon Dabinett, from RSA pointed out, underlining that it is important to maintain scientific quality and decide how we finance research. “Do researchers want to change things or they just want to do research?” he said. Researchers and policymakers need to work together to understand better not just “what” is happening, but also “Why” and “How” it is happening. 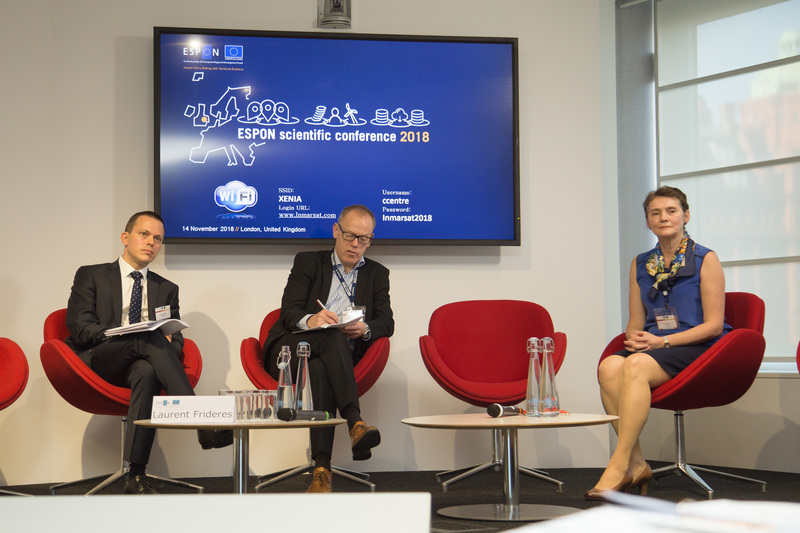 In the end, as the director of ESPON EGTC said policymakers “are looking for tools to help them make fast but accurate decisions that can be based on evidence and data.” Tools like the ones ESPON is offering and constantly developing. Further information, photos and presentations of the Scientific Conference here.